Discover the elegance of yesteryear, continuing your journey through the clouds by rail. 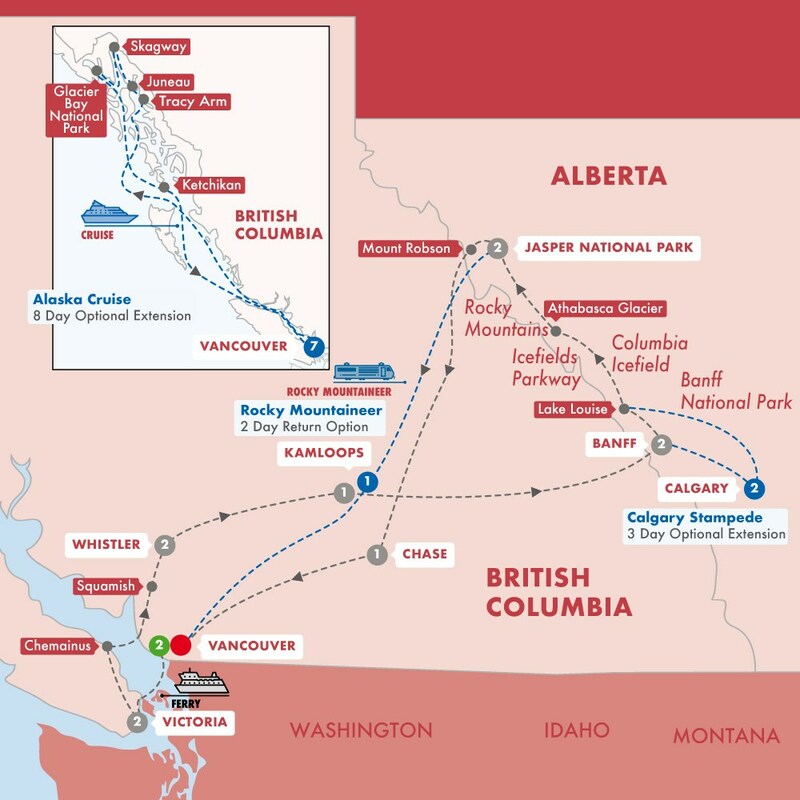 Travel through the Coast Mountains and the remote landscapes of Canada's west until you reach Vancouver. Airport arrival will be between 6:30 p.m. and 8:30 p.m. depending on rail traffic, please be aware when booking your flights.